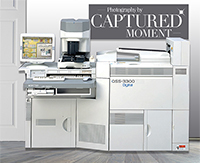 Instant printing of your images from any media. 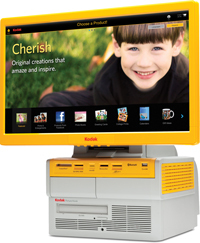 We offer a complete range of instant print services from you cameras, memory cards, discs and phones. or we can print for you. Print through either our high end mini lab. our amazing quality large format printer. 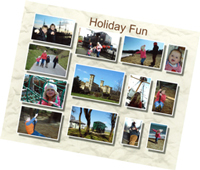 Mini prints are produced on uncut sheets with a number of prints on each sheet depending on the size of the images. A cutting service may be available at £1 per cut. Cutting tolerence +/- 3mm. ** 8x12 only available through Kodak Moments App print from home. 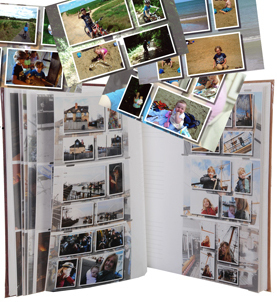 If you have just too many photographs why not try our Auto Mini Collages. This is a great way of getting nearly 200 photos on 50 4x6 prints. That means a 300 album can now hold nearly 1200 images. They are a great compromise between us taking many more photos and still wanting prints. 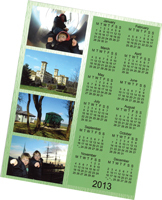 A great gift for family and friends, a collection of images on a single page with an ever useful Calendar. A great gift and great value. Or our month to a page option, spiral bound and ready to hang.